This morning, a Bald Eagle flew past packing a fish athwart its body. 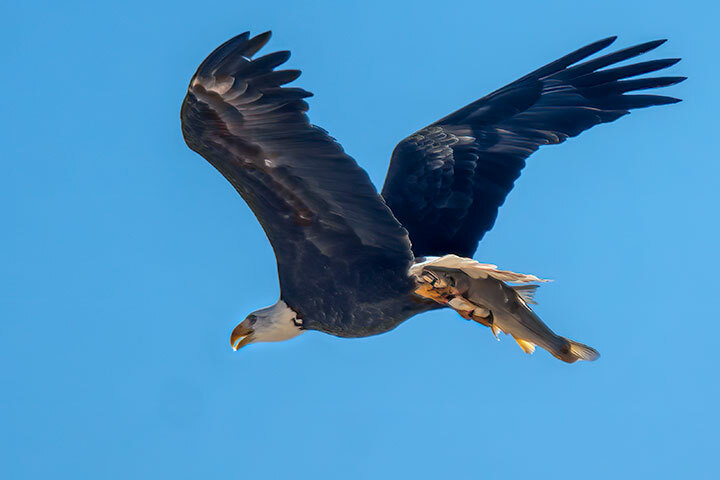 It is odd that an eagle regularly carries a fish in this non-aerodynamic orientation. Granted, the eagle is a strong flier, so the extra drag of a fish being carried across the airstream may not matter much to it. Still, why does it go to all that extra work? An Osprey always carries a fish aerodynamically with its head facing forward. 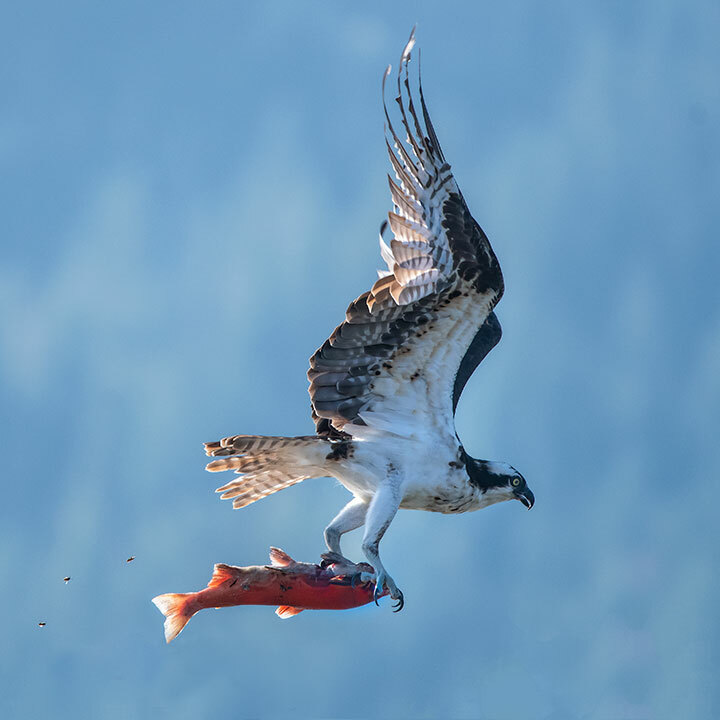 Granted, an osprey is a smaller bird, and as it takes less effort to fly with the fish in this orientation, the bird does so. But, how is it that the eagle has never learned this trick? An eagle carries a sucker in a non-aerodynamic orientation, so has to work harder to fly with it. Ospreys have yet to arrive this year, so here is a picture taken last August. The osprey flies with its fish in an aerodynamic orientation and so does less work when flying with it. Perhaps it’s like the difference between the way mule deer and moose travel in the forest. Deer typically keep to trails of their own making whereas moose, being much more powerful, muscle their way forward, trail or no trail.